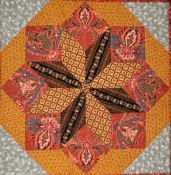 This Cactus Flower quilt is made up of 8 blocks, set onpoint. The overall size of the quilt is 54" x 72". machine pieced and quilting. 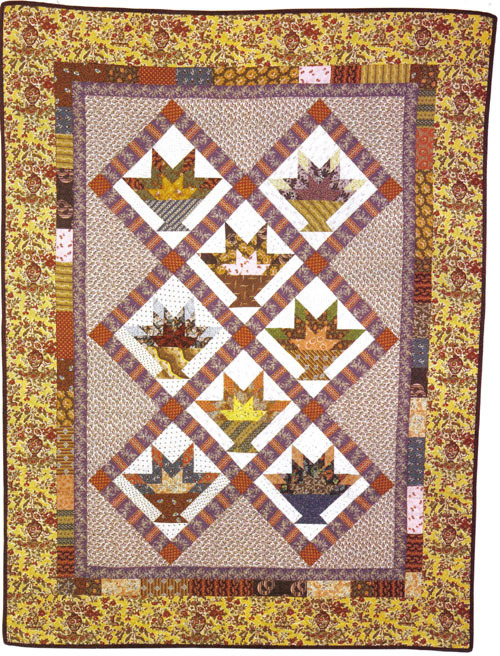 Quilting is "in the ditch" of the sashing, with a spider web over the blocks, and twisted rope design in the border. Fabrics used are good quality reproduction style. Cotton batting.